On March 28, 2019, a stunning aurora borealis—commonly known as the Northern Lights—made an appearance over Hudson Bay. 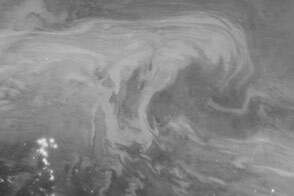 The Visible Infrared Imaging Radiometer Suite (VIIRS) on the Suomi NPP satellite acquired this nighttime image of the dancing lights over North America. 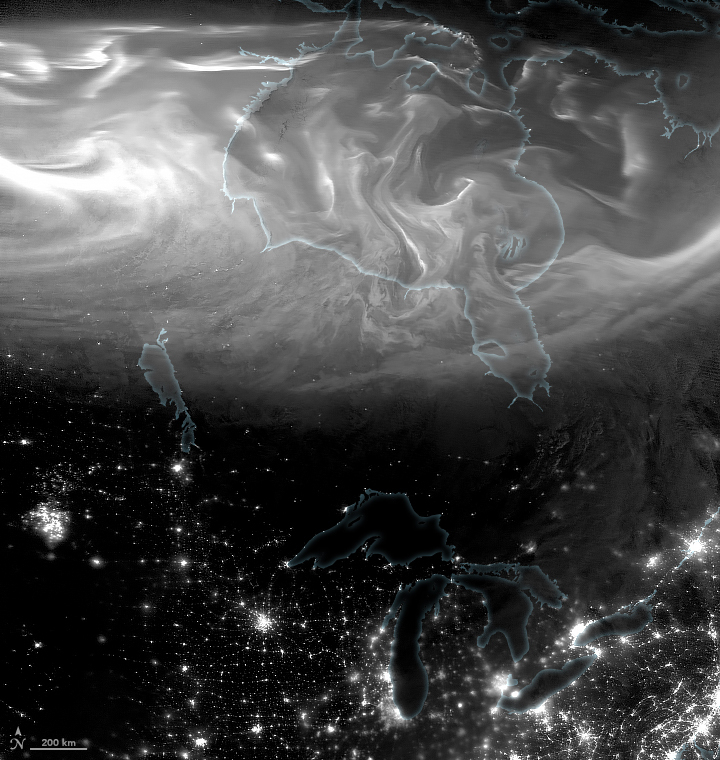 VIIRS has “day-night band” that detects city lights and other nighttime signals such as auroras, airglow, and reflected moonlight. 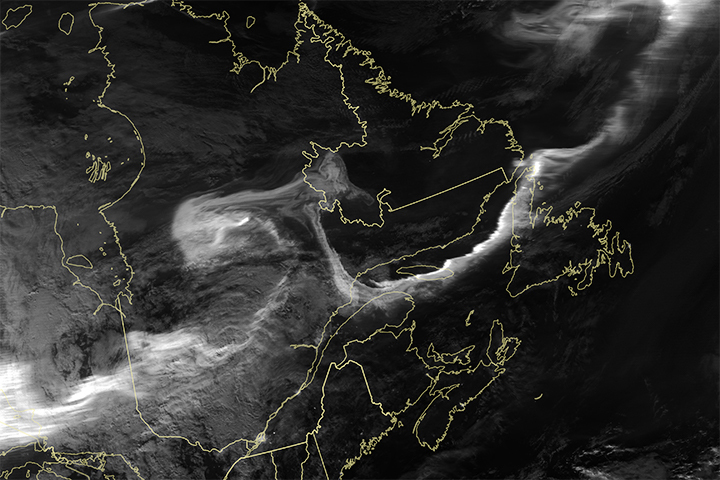 In this image, the sensor detected the visible light emissions that occurred when energetic particles rained down from Earth’s magnetosphere and into the gases of the upper atmosphere. 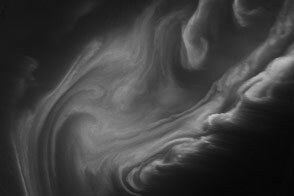 The creation of an aurora typically starts when the Sun sends a surge of its charged particles—through solar flares, coronal mass ejections, or an active solar wind—toward Earth. This surge disturbs Earth’s magnetosphere, the surrounding region of space protected by the planet’s magnetic field. 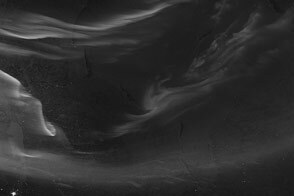 The solar particles collide with the magnetosphere and compress it, changing the configuration of Earth’s magnetic field lines (such as their shape and direction). Some particles trapped along the magnetic field lines are accelerated into Earth’s upper atmosphere where they excite nitrogen and oxygen molecules and release photons of light, known as the aurora. 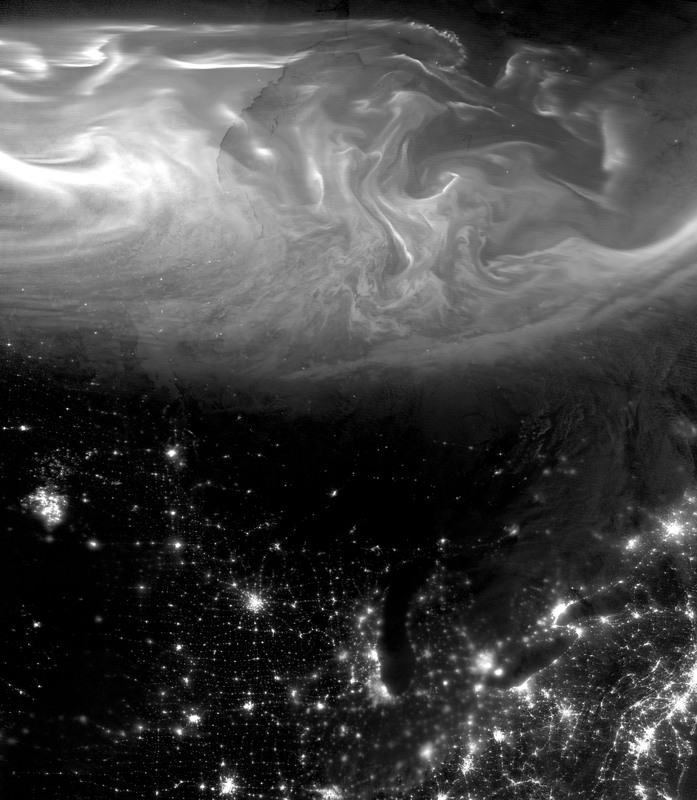 NASA Earth Observatory image by Joshua Stevens, using VIIRS day-night band data from the Suomi National Polar-orbiting Partnership. Caption by Kasha Patel.